During winter time, it’s easy to add “snow days” fun into your learning. Start with my snowman vowels sort freebie! 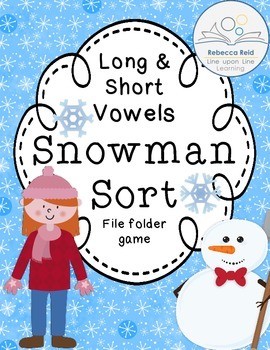 Play with snowmen as you sort long vowel from short vowels in a simple phonics file folder game or classroom center. While you’re at it, here’s another winter-y idea: Make learning fun with snowman breaks during the day. Download the Snowman Vowel Sort Freebie from the VIP Resource Library! It’s easy to set up this activity! Print out the two “children” pages and attach to a file folder. Then, cut out the snowmen. Your student(s) should sort the snowmen into the correct side of the page. Which child made each of the snowmen? Which child made the most snowmen? I’ve included a recording page if you wish to have your students write down the words from the snowmen. This activity requires kids to read the words and say them aloud to hear the sounds the words make. The long vowel snowmen have words with two letter phonograms, such as /ea/ and /ow/, as well as silent “e” words. It’s a perfect activity for kids to review phonics rules even after they’ve learned to read. I based this simple activity on one of the games in one my best sellers, Long and Short Vowels set of worksheets and games. Check out the not seasonal product in my Shop or at TPT if you are interested in more long and short vowels activities. Another idea related to snowmen is to take breaks throughout the day with a snowman in mind. This is perfect for those days when your children/students really wished for a snow day and did not get one: you are still doing school! Tell them it’s snowman time, and watch them smile. I’ve shared two songs you could sing during “snow breaks” below. I’m a little snowman, short and fat. Here are my buttons. Here is my hat. When there’s snow and ice, I laugh and play. When the sun comes out I melt away. Once there was a snowman, snowman, snowman. Once there was a snowman: Tall, tall, tall! In the sun he melted, melted melted. In the sun he melted: Small, small, Small! Later, you could also take a dance break to Walking in a Winter Wonderland. I don’t know why it’s commonly considered a holiday song: it’s perfect all winter long! Download this free file folder sort to use with your child or classroom when you sign up to become a Line upon Line Learning VIP. Your work is awesome, I love it. I am Celia, french, my husband is Spanish, we have 4 little kids borned in Mexico. On next August, we planned to move in Tbilisi (safer than here). 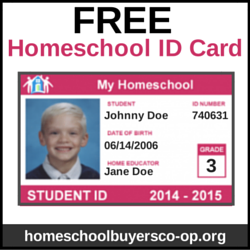 I read your blog and I want to ask you some tips about homeschooling in Georgia. I saw you where there on 2014. Are you still in Tbilisi? I know homeschooling is not allowed there, how did you made it? I hope this mail will arrive to you and I will be glad to read you back.